Valuable reviews state that interest rates might not only continue going down, but worse, might end up to a ‘zero’ state. It is possible as there is an unending decrease of interest rates in the previous years. A CLSA analyst says interest rates in Australia will be less than 1% within two years and could even go to zero. Christopher Wood, the managing director and chief strategist of the Asian-based equity broking and investment firm, made the forecast in an interview with The Australian Financial Review. “I think less than 1% within the next two years. They are going to end up a lot lower than people still imagine,” said Wood. The AFR notes the most recent Bloomberg survey of economists indicates an average interest rate forecast of 2% for the end of the year and the first quarter of 2016. Wood told investors to sell US mortgage securities before the subprime disaster. “It’s not whether interest rates go up, it’s whether Australian interest rates go to zero,” Wood said. Wood said the drop in gross domestic product means the Reserve Bank of Australia needs to keep cutting interest rates, but it is caught in a difficult position. “The issue from Australia’s central bank standpoint is that it doesn’t want to cut interest rates because of the housing market which, from a value point of view, is overextended,” he said. Wood is in Australia to meet with major fund manager clients. Interest rates will stay going lower in the coming years. But ‘zero’ state is never going to happen. Property prices across the country saw their steepest fall in 15 years in 2018, bringing them back to 2016 levels in what has been a housing downturn like no other. But it’s not bad news everywhere – while investors shy away from Sydney and Melbourne, there are some hotspots which are enjoying a sudden property market boom, according to news.com.au. The South East and Gold Coast regions are seeing the most buying activity, with Brisbane, Moreton Bay, the Sunshine Coast and Ipswich booming along with the Gold Coast, Tugun and Burleigh Heads. Unsurprisingly Hobart is the strongest property market, although activity has spread beyond the inner city and into the middle and outer rings, while Launceston has also recorded solid interest. The entire South Australian capital is booming, although most activity is happening in the inner city and Adelaide Hills. While many investors have deserted Sydney, areas such as Paddington and Winston Hills and the nearby Central Coast are doing well. Other booming areas are further north in Tweed Heads and Byron Bay. 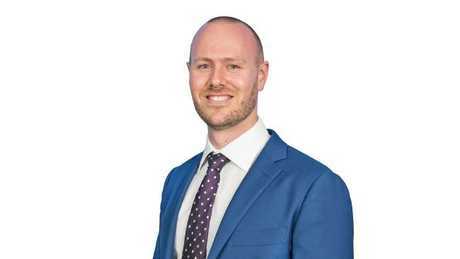 Daniel Walsh of investment buyer’s agency Your Property Your Wealth, told news.com.au that investment activity has now firmly shifted to Queensland. “We’re seeing rising demand particularly in the housing sector in southeast Queensland where yields are high and jobs are increasing due to the amount of government expenditure around infrastructure which is attracting families to the Sunshine State,” he said. Realestate.com.au chief economist Nerida Conisbee agreed, telling news.com.au Sydney investors especially had started to turn their attention north. “Interest is strong in the Gold Coast across the board although there’s more action on the south side in places like Tugun and Burleigh Heads,” she said. She added there was also a notable trend towards Tasmania, Adelaide and pockets of NSW such as Tweed Heads and Byron Bay. Adelaide has also been flagged as finally booming after recently hitting the highest median house price ever recorded, largely driven by jobs and economic growth off the back of defence contracts, the announcement of the new Australian Space Agency and other investment in the area. “Inner Adelaide, beachside and the Adelaide Hills tend to have the most activity but there’s also quite a lot of rental demand in low-cost suburbs so we’re expecting to see a bit more investment there in those really cheap suburbs over the next 12 months,” Conisbee said. “There you can get houses for $250,000 so for an investor, it’s a relatively low cost in terms of outlay and the area is seeing really strong rental demand which means you’re more than likely to get tenants, so for investors it’s a really attractive area,” she said. WE’VE all heard of the benefits of refinancing to get a better deal on your home loan, particularly a more competitive interest rate. But what if refinancing could also help you buy an investment property? “Borrowers may be able to refinance their existing home loan to access equity they may have built in their property, in order to buy an investment property,” Mortgage Choice chief executive Susan Mitchell said. 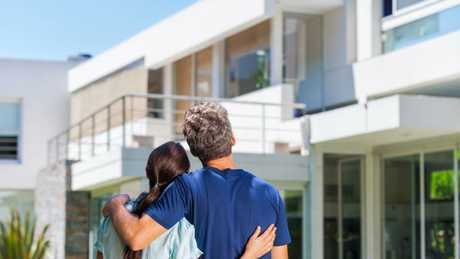 Refinancing with the aim of buying an investment property could allow borrowers to grow their wealth, according to Ms Mitchell, as, generally speaking, property was considered a safe asset class in Australia with decent returns over the long term. “CoreLogic found that over the 10 years to June 2018, national dwelling values increased by over 40 per cent, a good return on investment,” she said. But she cautioned there were a number of costs associated with refinancing, so it was important borrowers made an informed decision before jumping in. Leveraging your home’s equity could help you to buy another. So, how does refinancing using equity work? The Successful Investor managing director Michael Sloan explained that lenders would typically lend you 80 per cent of the market value of your home, less the debt you still owed against it. “This is your usable equity as banks hold some back as security,” he said. “So, say, for example, you have a $500,000 property and a $200,000 loan. Your usable equity will be $200,000,” he said. As to what value investment property you could buy, Mr Sloan said a simple rule of thumb was to multiply your usable equity by four. “But remember that one of the risks of property investing is spending too much,” he said. Ms Mitchell said the figure depended on how much a lender determined a borrower could afford to repay. “Available equity is important but the key factor a lender needs to consider is how much a borrower can afford,” she said. “If a borrower does not have additional capacity to repay a proposed new loan, they may not be able to borrow, irrespective of how much equity they may hold,” she said. Consulting an independent broker may be helpful for would-be investors. And there’s the rub: having equity in your home is not a guarantee you’ll be able to access it. “You can have a million dollars of equity but if you don’t satisfy the institution’s lending criteria, they are not going to loan you any money,” Mr Sloan said. Lenders have also tightened their assessment procedures as a result of recent regulatory measures, such as The Australian Prudential Regulation Authority (APRA) imposing a 10 per cent benchmark in growth on investment lending last year. This was introduced in a bid to curb activity in the housing market, Ms Mitchell said. “These regulatory measures have resulted in lenders increasing their scrutiny of a borrower’s ability to service a loan,” she said. “When deciding if an applicant can afford a mortgage, a lender will consider a borrower’s available ongoing income and from this allow for existing debt commitments and living expenses,” she said. But it’s not all doom and gloom. Ms Mitchell advised that borrowers could overcome the increased scrutiny by getting “financially fit”. “Get out of debt, spend your money wisely and adopt a disciplined savings strategy to show lenders you can service a loan,” she said. Air Mutual director Damien Lawler advised would-be investors to consult an independent broker who could access a range of lenders, which might have varying assessment procedures. “Everyone is talking about the banks tightening up – which they are – but there are banks, particularly the smaller, tier-two banks, who are still lending,” he said. 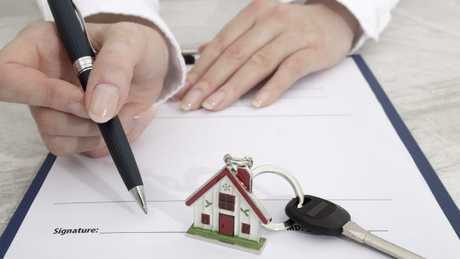 Getting the right structure for your loan is essential. Mr Sloan said his No.1 piece of advice for would-be property investors was to play it safe and to have some funds in reserve if things go wrong. “You should never buy (another) property if you have no extra money available to you after you settle, so you need to have a buffer. And protect what you are building with income protection and life insurance, if you have a partner,” he said. The Commbank has announced a range of changes to make it tougher for borrowers. THE nation’s largest lender is tightening its belt and making it even tougher for potential borrowers to successfully get a loan. In a notice issued to mortgage brokers today the CBA announced it will roll out a range of changes including restrictions on lending in some postcodes. This includes forcing customers to stump up fatter deposits in order to get a home loan. It will impact all types of properties including homes and apartments and also borrowers regardless of whether they are owner occupiers or investors. Commbank is rolling out a range of changing which will make it tougher for customers to successfully get a loan. – Reducing the maximum loan-to-value ratio from 80 to 70 per cent for customers without Lenders Mortgage Insurance (an insurance the customer pays and protects the lender not the borrower.) This means borrowers with a deposit less than 30 per cent must pay expensive LMI costs. – Reducing the amount of rental income and negative gearing eligible for servicing which will impact investors. – Change eligibility for Lenders Mortgage Insurance waivers and LMI offers for customers in some postcodes. Home loan lending with the nation’s largest bank is about to get harder. CBA said the new Postcode Lookup tool which will start from Monday will allow the bank and brokers to determine whether a borrower can successfully borrow in a particularly region or postcode and it will reduce customers wasting time applying where they are likely to get knocked back on a loan. CBA has not released the postcodes and regions these changes will impact. The move is a result of the responsible lending restrictions put on lenders by regulators to cool the red-hot lending market. Home Loan Experts’ managing director Otto Dargan said these changes are significant and will impact many borrowers. Home Loan Experts managing director Otto Dargan encourages borrowers to get unconditional approval before buying a property. “Lenders keep an eye on the economy and their exposure to different property markets and adjust their lending policies to manage their risks,” he said. “We strongly recommend that home buyers don’t commit to buy a property until they have an unconditional approval from a bank. Unconditional approval is when your loan application has been fully approved and is not subject to any terms or conditions.